The below is a list of natural cosmetics made simple. I put together that can serve for general guideline purposes. All recipes can be tweaked, altered and adjusted freely depending on one’s preferences. Certain essential oils should not be placed directly on the skin and all essential oils must be kept in glass bottles, away from sunlight. Hairspray: Bring 8 ounces of water to a rolling boil, add 2 tablespoons of white sugar and 2 ounces of vodka. Stir. After the mixture cools, add essential oils that make you happy. Blush: Two tablespoons of beet powder, a tablespoon of arrowroot powder, add nutmeg or ginger until you are happy with the color. Liquid bronser/lipstick: Take coconut butter, add beet powder, arrowroot powder, nutmeg and/or raw, unsweetened cacao until you achieve the desired color. Blend well. Foundation: Take raw, unsweetened cacao, cinnamon and /or nutmeg. Add a tiny bit of sunflower oil until you achieve the desired consistency. Mix well. BB Cream: Take a clean, organic, zinc-oxide-based SPF cream and add raw, unsweetened cacao, nutmeg, ginger and/or beet powder until you achieve the desired color. 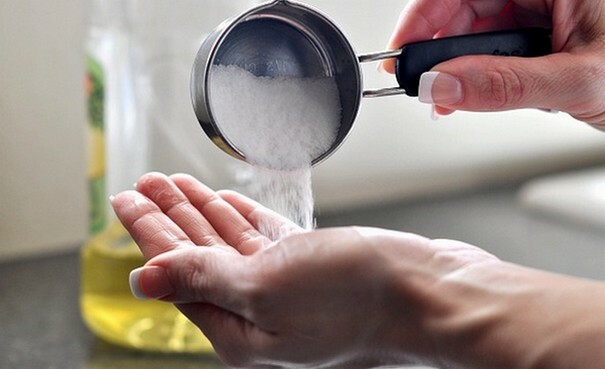 Makeup remover: Use olive oil on a cotton ball. Remove gently. Face wash for acne prone skin: Mix one teaspoon of honey with a teaspoon of lemon juice. Apply on face and let dry. Remove gently with warm water. Pat dry face. Use a teaspoon of safflower or grape seed oil (high linoleic content) with a dash of baking soda. Add a a drop of eucalyptus essential oil. Face wash for dry skin: Mix milled, unsweetened oatmeal with sunflower oil until it turns into a paste. Apply on wet face, using circular motions. Face mask for oily skin: Use oatmeal, lemon juice and honey in equal proportions. Apply to sry face. Face mask for dry skin: Take a teaspoon of honey and mix with a teaspoon of avocado. Face mask for freckled or hyper pigmented skin: Plain, unsweetened yogurt or sour cream. Scrub for oily skin: Brown sugar with a drop of essential lavender. Organic coffee grinds. Dry. Unused. 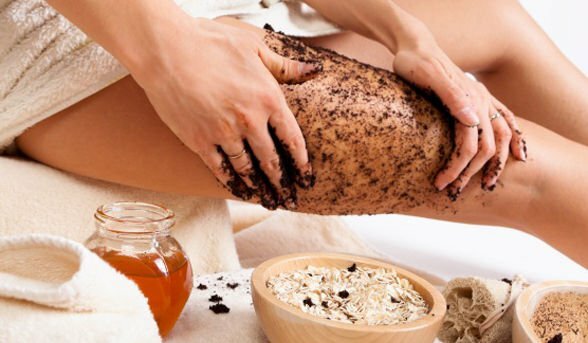 Scrub for any skin: Finely ground avocado pits with a drop of frankincense essential oil. Toner for acne-prone skin: 2 ounces of water, a pinch of Himalayan salt, a pinch of boric acid. Shake well, put in a travel-sized bottle and apply with a cotton ball to the face. Underarm spray: An ounce of water, an ounce of vodka, a pinch of Himalayan salt, essential oils of your choice. Put in a spray bottle. Underarm roll-on: Use one of the essential oil roll-ons. Make sure it can go directly on the skin. Night oil for dry skin: Gently massage face with grape seed oil with lavender essential oil or walnut oil with sandalwood essential oil.